Cloud computing is the current hot topic. According to a recent statistics, it is said that 47% of the marketing departments will move approximately 60% of their applications to the cloud. What will be moved to the cloud? It is believed that database, emails and business applications like ERP, CRM and industry specific apps will be migrated to the cloud by the enterprises. These would be the major areas considered for cloud migration. Enterprises are looking at quality and security as a measure to choose the cloud computing. They want quality hosted services. There are definitive trends floating around cloud computing. While, cloud computing is slowly picking up, and one can see the major trends in this segment, it is important to define the future of cloud computing. 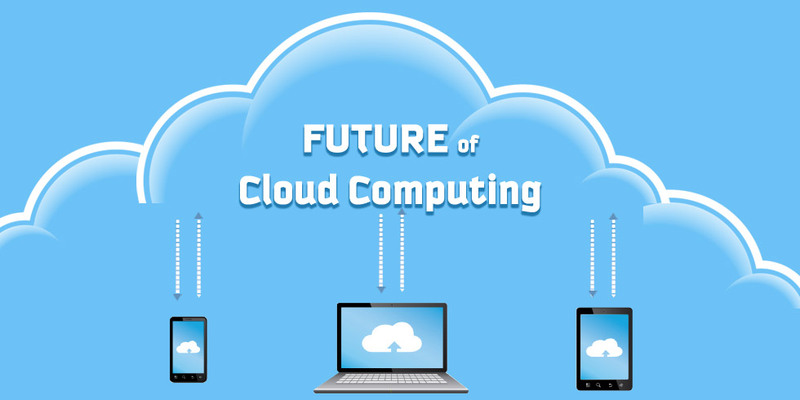 Here are some predictions being made for cloud computing, and its future trends. Conventionally, you would have seen how hybrid infrastructure was restricted to public and private cloud infrastructure. In the coming future, things will move beyond this conventional approach. Hybrid will expand its scope to match the performance, security, control and cost efficiency needs meted out by the enterprises. In today’s time, businesses aspire to give the same user experience across devices for their applications. For this they require services that can improve the performance and offer both reliability and scalability. This is why the conventional meaning to hybrid infrastructure requires to be changed. The virtual cloud service will be combined with bare metal and custom services such as managed hosting and collocation to keep up with the desired user experience. Cloud is the future of enterprises, and they have started planning their software to be compatible with the cloud. Enterprises suggest creating applications that are meant for the cloud. This is probably why it is predicted that by 2016 a lot of enterprise applications will be on the cloud. About 56% of the enterprises consider cloud as the differentiating strategy while about 58% of the enterprises spend about 10% of their budget on the cloud services. These statistics are enough to say how cloud is changing the dimensions of enterprises in the near future. For enterprises that are dependent on the performance of the application, and require the data to be processed at a fast rate, bare metal adoption is necessary. This infrastructure combines virtual public cloud with the performance of the dedicated server for a good infrastructure mix, which will result in good performance of the system. Customers are slowly gaining familiarity with the bare metal infrastructure, which is also the reason why more companies are expected to adopt this configuration to support the workloads that are relying on performance. This infrastructure will support variable and stable workloads with ease, thus offering high levels of application performance to the enterprise applications. Cloud is gaining popularity, and you will observe more development for the cloud in the coming times. Currently there are about 18 Mn software developers globally, yet only 25% of the applications are being developed for the cloud. But, with the increasing popularity, you can expect more applications to adopt the cloud technology. Around 85 of the new software, in the development stage at present, are built compatible to the cloud. It is suggested that 20% of the application revenue would be generated by SaaS, which is why in the coming future there would be a rise in the third party developers and enterprise developers, who are ready to contribute to the cloud based application development. Cloud has already been segregated into private, public and hybrid clouds, and consumers are currently exploring the three types of cloud deployment. The cloud will segment further in the near future, and companies will be educated on which cloud solution works best for them. There will be boundaries defining business critical workloads and the different security measures to segment the cloud solution. Shared cloud will slow down your performance and hinder your security needs. The future will see enterprises moving to private cloud, which is more secure and helps further the performance. Semaphore Software offers cloud based solutions to enterprises, based on their business needs and end goals. If you are looking for the perfect cloud computing solution, you can get in touch with us via info@semaphore-software.com.